The 2017 Flathead Lake International Cinemafest (FLIC) drew to a festive close Sunday afternoon with its Awards Show and dessert reception. Local film-lovers, sponsors, volunteers, and filmmakers from across the nation converged on Friday, January 20th for a rich, moving celebration of film and people. FLIC 2017 screened full-length features, shorts, animated films, and documentaries. True to its name, FLIC once again offered a broad array of international films from countries that include Australia, Canada, Spain, Taiwan, Croatia, France, and the USA. In addition, there were 16 films produced in Montana, which is more than in any previous year. There will be encore screenings of FLIC’s best films from Monday through Thursday. The encore screening schedule is below and can be found on FLICPolson.com. One of the more powerful FLIC 2017 moments was the standing ovation given 89 year-old Montana resident Bob Hayes, who runs about 30 races each year, cuts his firewood by hand, and does things the hard way to remain active and alive. Bob’s inspirational story is the subject of the documentary film, The Hard Way. The spry Hayes walked up front with his son Tom and Co-Director Jeremy Lurgio. The packed Showboat Cinemas theatre was electric that night. That same screening block featured this year’s FLIC 2017 Documentary Feature, the breathtaking North of Known, which profiles Gavin McClurg’s full, unsupported traverse of the Alaska Range by foot and paraglider. McClurg was in attendance, and also received a standing ovation as he went up front to answer questions. Gavin’s feats of bravery, skill, and endurance were amazing to behold, so, when he took the microphone and said he felt like a “wimp” compared to 89 year-old phenom Bob Hayes, the audience erupted in laughter. And that is when FLIC transcended film to touch the stars. Many other special films, people, filmmakers, and film aficionados converged at FLIC 2017 to make it arguably the best in its 5 year run. Billed as “the most beautiful festival in the world”, FLIC got off to a delicious start at Lake Bar on Friday afternoon, where attendees met to celebrate the launch of the festival over Hors D’oeuvres. Screenings commenced at 7pm on the Showboat Theatres’ two screens, and continued through late Sunday afternoon, followed by the Awards Show and dessert reception. On Saturday evening, another packed social gathering was hosted by Vine & Tap. It’s exciting to see this much enthusiasm and celebration of the film arts on a cold winter weekend in late January. Many thanks to you and your ever-helpful staff for 5 years of giving this film festival a home. Without you, FLIC would be a pipe dream. Thank you for adjudicating over 500 films with characteristic panache; and for your five years of keen insight, good taste, and cinematic jurisprudence. With much gratitude, The FLIC Committee and beyond. Cradle, from the Republic of Iran, tells the charming story of a little Iranian girl who just wants to do her homework, but looking after grandpa and her baby sibling complicates things. 51.7HZ, from Taiwan, follows a space alien, a tribal youth, and a solitary whale, who conspire to transport the whale to a planet where its unique frequency can be understood. Praxis, from Taiwan. In this touching and poignant story, a young boy runs to keep ahead of a garbage truck in order to recycle what would otherwise be put in a landfill. He seeks maternal approval and dreams of luxury. Lilly Hits the Road. This is the third Lilly entry from Calgary, Canada’s Bum Family, a group of six cousins, ages 7 through 14. FLIC salutes young creatives like the Bum Family kids. Notorious Corn, the salty story of a small grain of corn with dreams about stardom and glory. Sometimes dreams of glory don’t go as anticipated. The Hard Way tells the inspirational story of 89 year-old Bob Hayes, who runs 30 races each year, cuts his firewood by hand and does things the hard way to remain active and alive. Travel Light follows American filmmakers as they backpack 500 miles across Spain’s Camino de Santiago, and capture their own experiences and the intimate stories of other pilgrims seeking truth on the Camino. 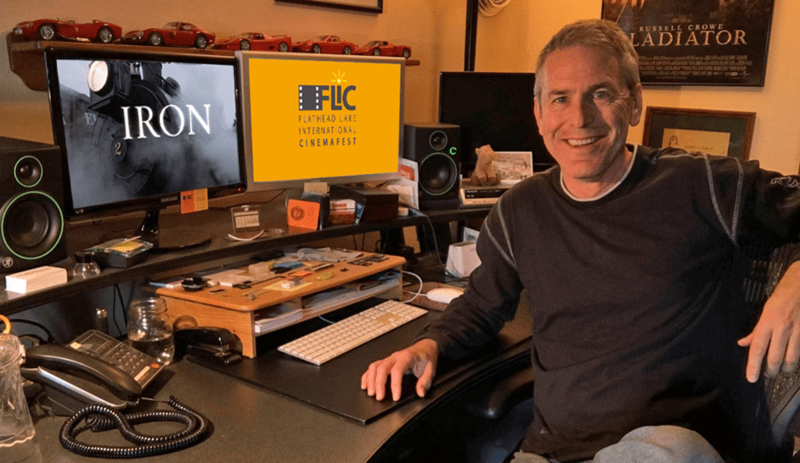 The Walk, Polson resident Jim Ereaux’s third annual FLIC entry and second award. His brilliant film The Raving won the FLIC 2015 Judge’s Honorable Mention. The Walk depicts the Coast to Coast walk across Northern England in images and poetry. My Life is Cinema, a quirky foreign film about filmmaking & the tensions of real life amidst fiction. Audition, about a middle-aged actor who waits nervously for an audition that could salvage his career. La Vie, which was produced in Spain. La Vie tells the story of an old married couple, who embark on a journey that causes them to relive forgotten memories, even those deeply buried. Joely Fisher as Judy in Search Engines, in which a Thanksgiving gathering runs off the rails when people lose their cell reception. Samantha Lyn Parry as Amy in Coming Clean, a touching love story about a young man with a mental health disorder who meets a young woman with troubles of her own. Molly Pepper Piccirilli as Gala in Gala and Godfrey. Steven Molony as Aaron in Oxenfree, the beautifully realized story of three estranged foster brothers who rediscover the ruins of their childhood kingdom ‘Oxenfree’…and face down the monster living within. Adam Green, as Godfrey in Gala & Godfrey, a quirky love story about a divorced couple who remain attached in life and love in mysterious ways. Bryan Ferriter as Danny in What Separates Us, portraying a young man immersed in a life of drinking and fighting, who meets Parker, a beautiful, talented art student with a bright future. RezMade, the inspiring story in which Local Two Eagle School photography class students head to New York City for their first public show and have a life changing experience. Ice Cream Man, an uplifting documentary about two brothers who defy the odds and launch their Kool Breeze Ice Cream truck business on Montana’s Blackfeet Reservation. Between, a visual and visceral tour de force in which women ski pros travel to some of the most exotic and challenging slopes in the world. The Violin Alone, the unlikely pairing of two modern visionaries, Hungarian violin virtuoso Vilmos Olah, and Eric Funk, a contemporary classical composer from the heart of Montana. North of Known, in which professional paragliders and adventurers Gavin McClurg and Dave Turner attempt a full, unsupported traverse of the Alaska Range by foot and paraglider. Travel Light, in which American filmmakers backpack 500 miles across Spain’s Camino de Santiago, and capture their own experiences and the intimate stories of other pilgrims seeking truth on the Camino. The Bug, the story of the most popular and beloved vehicle on Earth, the Volkswagen Beetle. This is Montana filmmaker Damon Ristau’s sequel to last year’s FLIC best documentary feature winner, the Bus. Kristin Ellingson for Gala & Godfrey, a film based on Ms. Ellingson’s outstanding screenplay and directed with panache and confidence. Oxenfree, in which three estranged foster brothers rediscover the ruins of their childhood kingdom ‘Oxenfree’…and face down the monster living within. What Separates Us, the powerful personal journey of a young man immersed in a life of drinking and fighting, who meets Parker, a beautiful, talented art student with a bright future. Gala & Godfrey a time-spanning love story about a divorced couple who remain attached in life and love in mysterious ways. The Flathead Lake International Cinemafest is unspooling its fifth annual winter film festival during the weekend of January 20-22, 2017 at the Showboat Cinema on Main Street in Polson, Montana. FLIC 2017 will be screening full-length features, shorts, animated films, and documentaries. True to its name, FLIC is once again offering a broad selection of international films from countries that include Australia, Canada, Spain, Taiwan, Croatia, France, and the USA. In addition, there are 14 films produced in Montana, which is more than in any previous year. FLIC kicks off on Friday, January 20th with an informal gathering from 4 to 7 p.m. at the Lake Bar on Highway 93 in downtown Polson. Film showings on two screens begin at 7 p.m. On Saturday, January 21st, there will be a break in film showings from 5:30 p.m. to 7 p.m. for a second informal gathering at the Vine & Tap on Main Street. Complimentary hors d’oeuvres will be served each evening. As in years past, the FLIC judges have enjoyed unearthing FLIC 2017’s gems. This year’s standout films include North of Known, a stunning feature documentary in which professional paragliders and adventurers Gavin McClurg and Dave Turner attempt a full, unsupported traverse of the Alaska Range by foot and paraglider. Another rich documentary, The Walk, produced by Polson’s Jim Ereaux, profiles the Coast to Coast walk across Northern England with images and poetry. Narrative stories are also bountiful this year, including Life Now, Life Then, another Montana feature in which an introvert recounts the summer of ’94, when he and his brother plotted revenge against their abusive father. The weekend is packed with a broad array of short films, too. Saturday morning begins at 8:30 a.m. with a FLIC’s popular free family movie screening. This year’s film is Home, featuring an alien on the run from his own people who makes friends with a girl and tries to help her on her quest. Attendees are encouraged to arrive in their pajamas and enjoy a free breakfast sponsored by Polson’s Rotary Club, which also prepares the breakfast. This non-ticketed screening is free so seating is on a first-come, first-served basis. As with previous years, many of FLIC’s screenings will include question and answer sessions with filmmakers. Stay tuned for more details as FLIC’s grand weekend in January gets closer! The festival closes on Sunday, January 22nd with a “Best Of” awards show, which will be held at Showboat Cinema. Approximately 20 awards will be handed out in various categories. All films, times and events are subject to change. Film submissions are now being accepted for the Flathead Lake International Cinemafest (FLIC) scheduled for the weekend of Jan. 20-22, 2017 in Polson, Montana. FLIC, now in its fifth year, was listed in the Top-15 Winter Film Festivals in the U.S. by The Audience Awards. 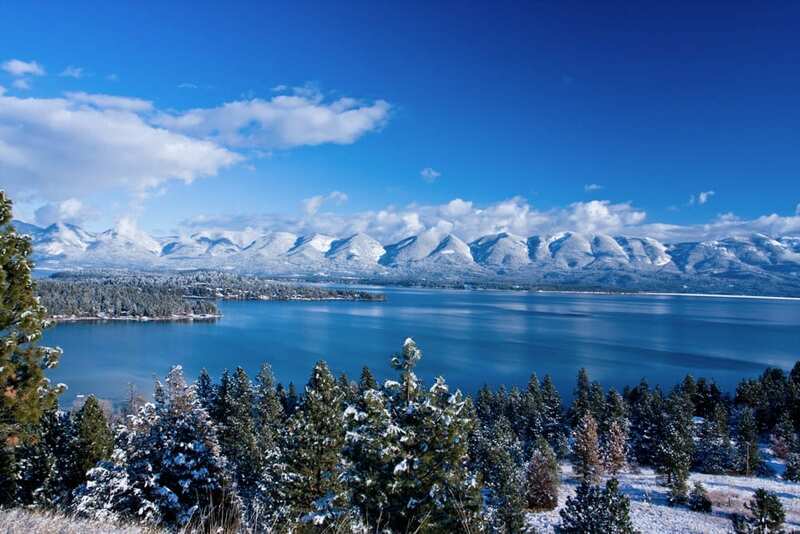 Filmmakers have taken note and many travel to Polson to share their films in person. FLIC will continue to accept a broad slate of domestic and international films that entertain, inform and touch. 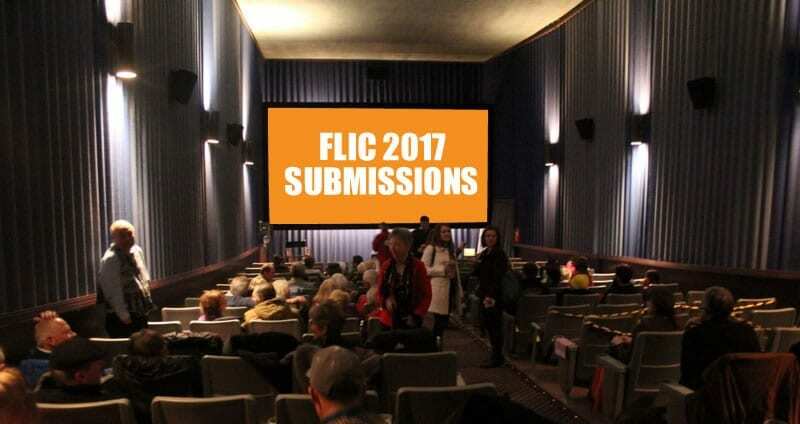 Films of all genres can be submitted through the FLIC website at www.flicpolson.com under the “Submit A Film” tab, Withoutabox website at https://www.withoutabox.com/login/12344 and https://filmfreeway.com/festival/FLIC. All submitted films will be juried by a panel of judges from the Polson area. Films selected to be part of the festival will be showcased during the festival and are eligible to receive “Best Of” awards in several categories. FLIC’s mission statement: Provide makers of all film genres a venue through which they enrich themselves and their audiences by engaging with film. For more information please email info@flicpolson.com.